One World Trade Center will officially become the dominating building for the New York City skyline sometime today, if conditions allow. So, some people, probably New Yorkers, will want to claim that the new One World Trade Center will be the tallest building in the Western Hemisphere, but without the 408 foot antenna, it will only stand at 1,368 feet, 83 feet shorter than the Willis Tower (formerly the Sears Tower) in Chicago, measured without its antennae. However, One World Trade Center isn’t a record-holder quiet yet, since it’s still unfinished. 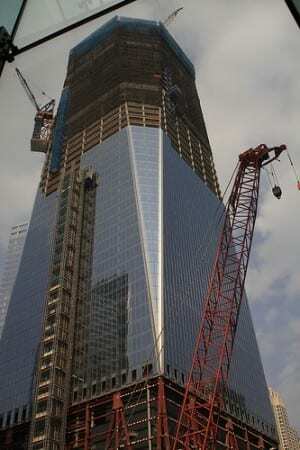 One World Trade Center should be completed around the fourth quarter of 2013. According to reports, One World Trade Center is 55 percent leased and is expected to be a commercial success.